Programs - College Bound, Inc.
​​The Academic Mentoring Program matches students one-on-one with college-educated volunteers to strengthen the student’s math, language arts, and social skills while preparing them for the college journey. Students meet with their “partners” at one of our academic mentoring sites throughout the school year to work on a range of academic development and college prep processes. In addition to the one-to-one mentor relationship, College Bound offers a myriad of enrichment activities to supplement the students’ experience and continue to foster a college-going culture. Our Partners are committed to helping their students achieve their personal and professional goals of a college education. 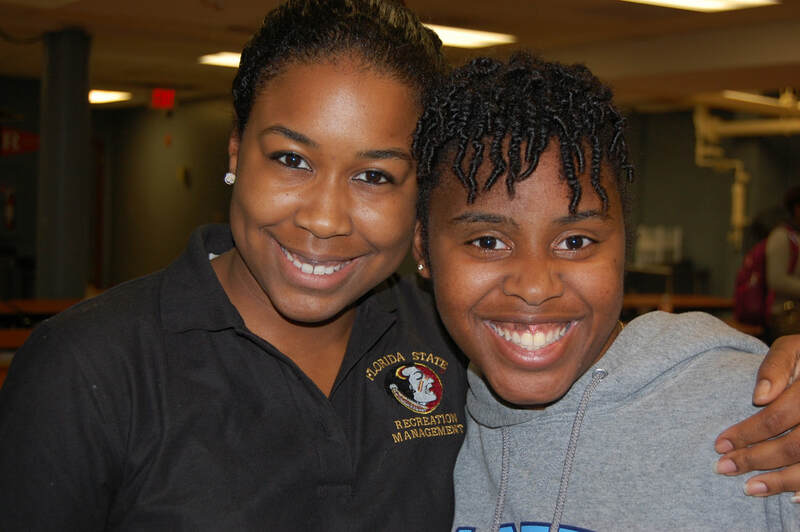 Our Virtual Mentoring Program is an extension of the traditional College Bound mentoring. This program is virtual—meaning regular contact will be done electronically. The goals of this program are simple: to help College Bound alumni enrolled in college, stay in college; to help them navigate through the college experience; and to increase the college graduation rate of Metropolitan area youth. How does this differ from the College Bound Academic Mentoring Program? Mentors could possibly be matched with more than one student although College Bound will make every effort to provide every student with a mentor. Meeting once a week at designated sites around DC. ​remotely, ​at least twice a month, with their assigned mentees. Student participants are College Bound alumni who are entering their first year or are currently enrolled in an accredited college or university. 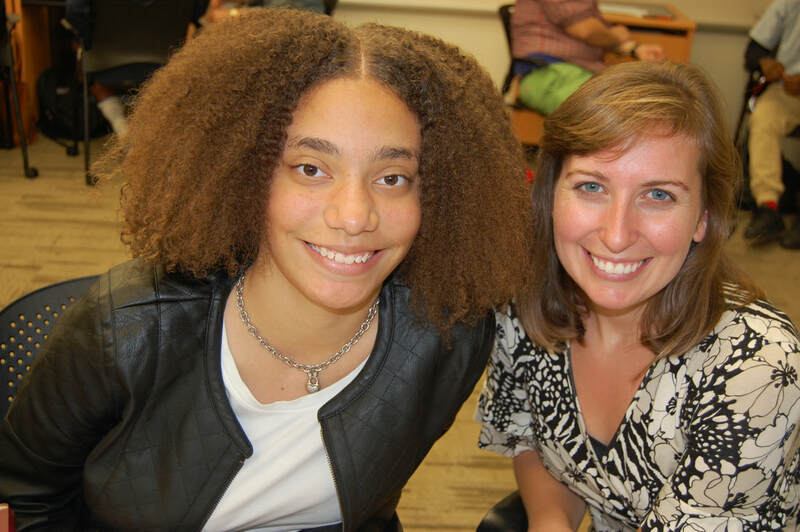 ​Mentors work with students to provide on-going academic support to improve college bound options. ​Mentors’ primary role is to help students connect to campus resources to improve chances of academic success. As well as supporting students with their needs and questions, whether academic or personal. ​An opportunity for our rising Seniors to spend a weekend gaining an in-depth overview of the college application and financial aid process from College Bound staff and guest speakers. Students leave the retreat with a completed college application portfolio, personal statement and a comprehensive list of colleges and universities to apply for admissions. ​This one-day retreat gives Juniors the chance to begin their college application process. Students learn how to use websites to conduct effective college searches to meet their best fit. They will hear from resident experts on the various essential components of the college application, the role recommendations, and standardized tests play in the admissions process and what constitutes a strong personal statement. Students will participate in an interactive essay writing workshop with writing experts who will help students to identify a suitable topic for their personal statements. Students will also hear from our financial aid expert on the best way to pay for your college education. College Bound’s college tours give students an actual taste of the college experience. During the fall, students spend one day traveling to schools within the greater DC, Maryland and Virginia metropolitan areas. For our spring college tour, students take a 4-day tour to a myriad of schools throughout the East Coast. The 2019 Spring College Tour will take place during DCPS Spring Break. Students will have the opportunity to visit schools in North Carolina, South Carolina, Georgia, and Florida. ​The Taste of College Night is our annual College Fair. In addition to providing on-site admissions, representatives from various colleges and universities share relevant information with students and their families about admission options, summer bridge programs, and open houses. College Bound partners also represent their colleges and universities at the fair and speak with students about student life and their time at the school. Career Night, which is co-sponsored by the University Club, is our annual career fair. Students met with individuals from various career fields to engage in roundtable discussions about their career interests. Career Night will be held in two segments. Session I for 10th-12th graders. Session II for 8th & 9th graders at the University of the District of Columbia. There is also a financial aid workshop for parents at the University Club event. ​The Prep Sessions are 8- to 9-week courses where students meet with trained SAT/ACT Prep Instructors to learn skills and strategies to help increase scores on these college entrance tests. Prep course spaces are open to students not enrolled in College Bound. Please contact the office to inquire about the next SAT or ACT test prep session. The SAT Prep classes will resume in the spring of 2017. ​College Bound awards ten scholarships to selected students annually. These scholarships are typically for $6,000, though donors may specify larger amounts to be awarded. Students must be participants of the Academic Mentoring Program for at least one full year to apply for the scholarships. Applications are open in January and close in March. Rho Mu Omega Chapter, Alpha Kappa Alpha Sorority, Inc. Details to be announced in April.